A baby’s gut continues to develop from birth and will do so until they reach early childhood¹. Gastrointestinal (GI) disorders, such as reflux, colic and constipation, are common and can be a result of a baby’s developing gut². Although nothing to worry about, these conditions can cause discomfort for babies and stress to families². 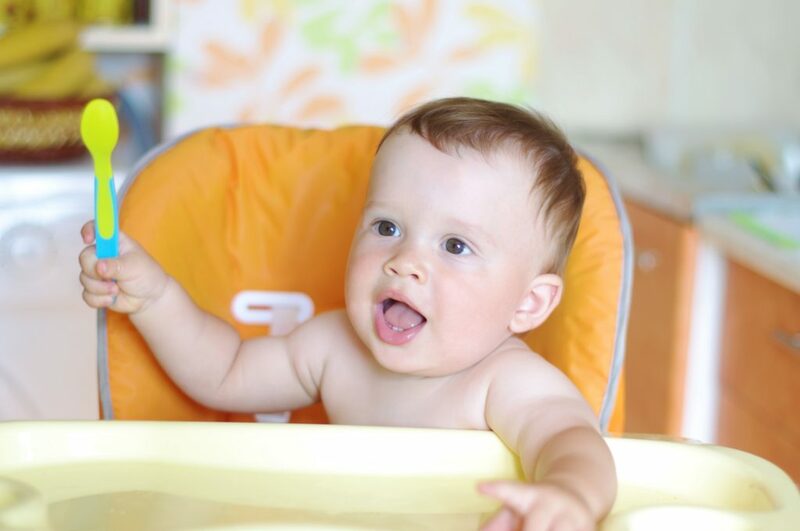 During the first six months of life, infants are particularly prone to GI signs and symptoms that have no obvious structural or bio-mechanical cause¹. The immature GI tract and its associated nervous system and microbiota are not yet functioning at an optimal level². This can cause a range of disorders which, although not classified as organic diseases, can be incredibly distressing for the infant and, of course, concerned parents³`⁴. To learn more on the prevalence and impact of common functional GI disorders, read: ‘The health, wellbeing and financial impact of infant functional gastrointestinal disorders’. In this infographic for healthcare professionals, we look at the evolving nature of a baby’s gut during the first year of life. Vandenplas Y et al. Gut Health in Early Life: Implications and Management of Gastrointestinal Disorders. Essential Knowledge Briefings. Chichester, England: Wiley; 2015. Salvatore S et al. Review shows that parental reassurance and nutritional advice help to optimise the management of functional gastrointestinal disorders in infants. Acta Paediatr. 2018. doi:10.1111/apa.14378. Kurth E et al. Crying babies, tired mothers: what do we know? A systematic review. Midwifery 2011;27(2):187– 94. Vik T et al. Infantile colic, prolonged crying and maternal postnatal depression. Acta Paediatr 2009; 98(8):1344–8. Vandenplas Y et al. Prevalence and Health Outcomes of Functional Gastrointestinal Symptoms in Infants From Birth to 12 Months of Age. J Pediatr Gastroenterol Nutr. 2015;61(5):531–537. Iacono G et al. Gastrointestinal symptoms in infancy: a population-based prospective study. Dig Liver Dis 2005;37(6):432–8. The National Institute for Health and Care Excellence (NICE). Clinical Knowledge Summaries: Colic — infantile. Available at: https://cks.nice.org.uk/colic-infantile[Accessed May 2018]. Pijpers MA et al. Functional constipation in children: a systematic review on prognosis and predictive factors. J Pediatr Gastroenterol Nutr. 2010;50(3):256–268. Van den Berg MM et al. Epidemiology of childhood constipation: a systematic review. Am J Gastroenterol. 2006;101(10):2401–2409. The National Institute for Health and Care Excellence (NICE). Clinical Knowledge Summaries: GORD in children. Available at: https://cks.nice.org.uk/gord-in-children. [Accessed May 2018]. Weaver LT et al. Small intestinal length: a factor essential for gut adaptation. Gut. 1991;32(11):1321–1323. Arrieta MC et al. The intestinal microbiome in early life: health and disease. Front Immunol. 2014;5:427. Nash MJ et al. Early Microbes Modify Immune System Development and Metabolic Homeostasis-The “Restaurant” Hypothesis Revisited. Front Endocrinol. 2017;8:349.